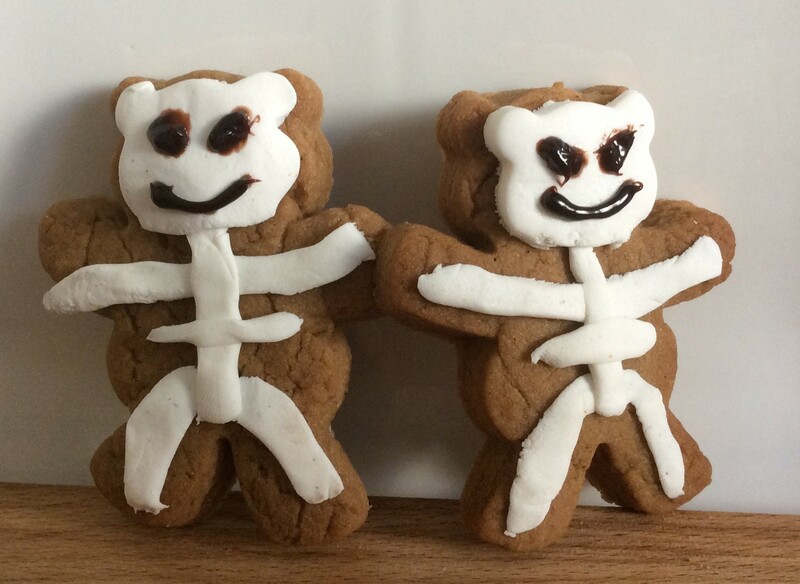 Tasty fun halloween treat Zombie Bread Men. 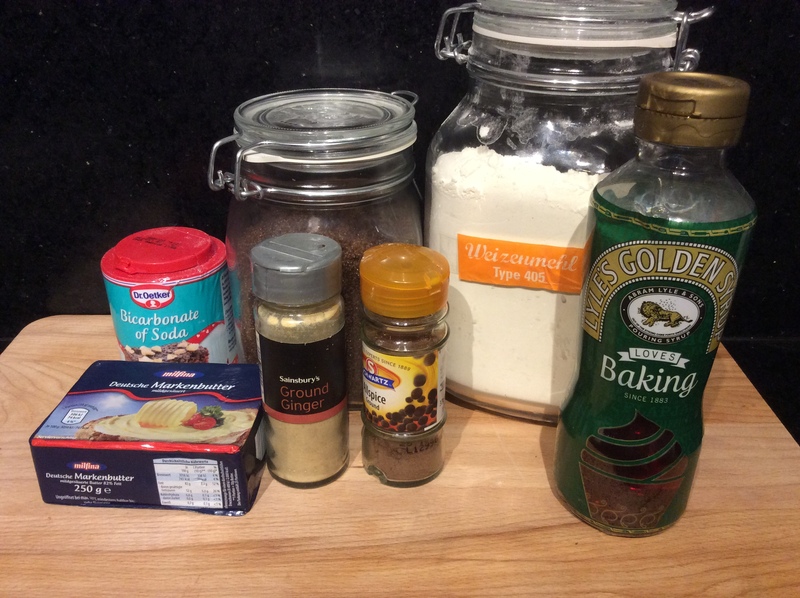 The amounts shown here make enough for 2 trays of Zombies of gingerbread men. If this is too much simply halve the amount. Make a template for the zombies. See the note below. 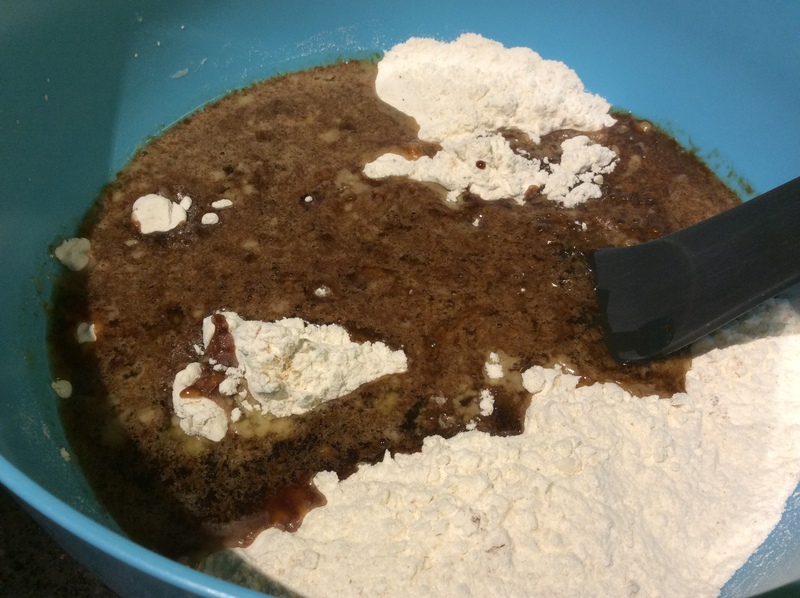 Fold the syrup into the dry ingredients and mix gently until you can no longer see the flour any more. 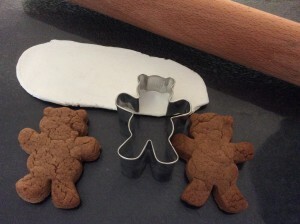 Unlike normal biscuit dough it is best to roll gingerbread out whilst it is still warm. 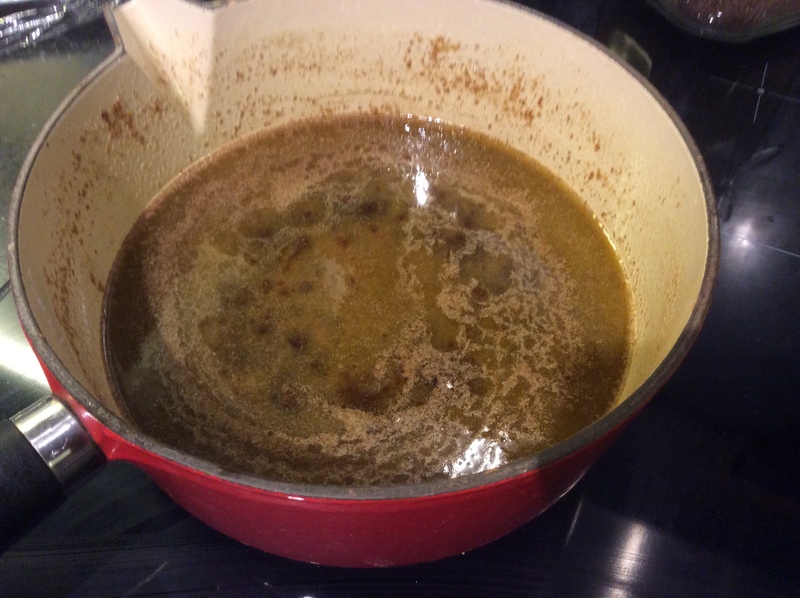 Put a piece of greaseproof paper on to your work surface, this makes it easier to handle the dough. 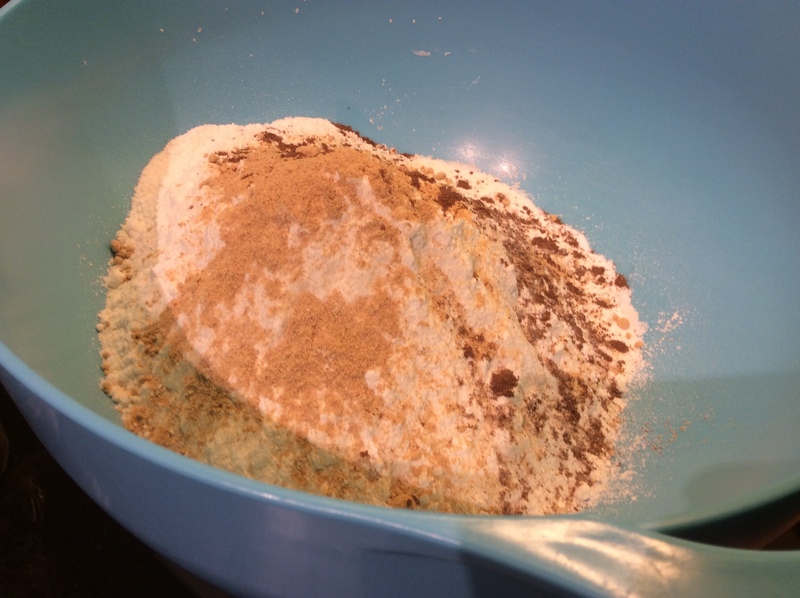 Roll out some of the dough till it is about 4mm thick (1/4 inch) and bigger than your template. Carefully cut round the template. Cut some holes for his tummy and for his mouth, don't put them too near the edge. 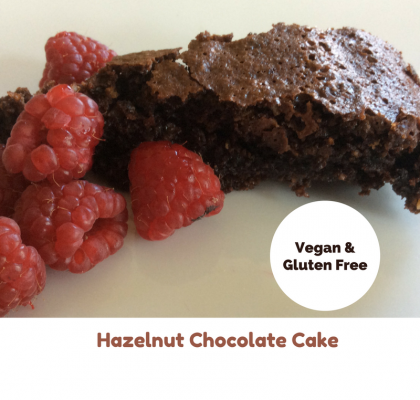 Place gently onto a baking tray lined with a silicon sheet. Repeat until you have used all of the dough. 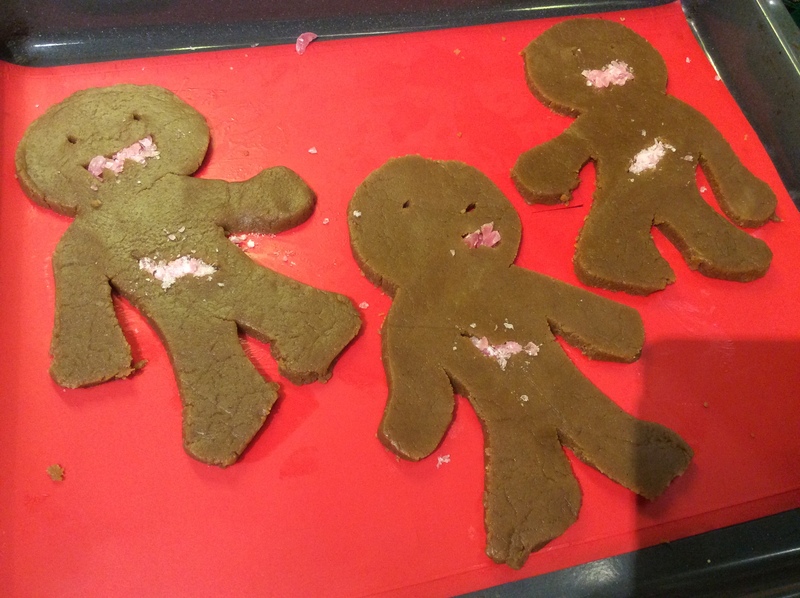 I made 6 large zombies and used a cutter to make some traditional gingerbread men. Preheat your oven till 180 degrees centigrade. 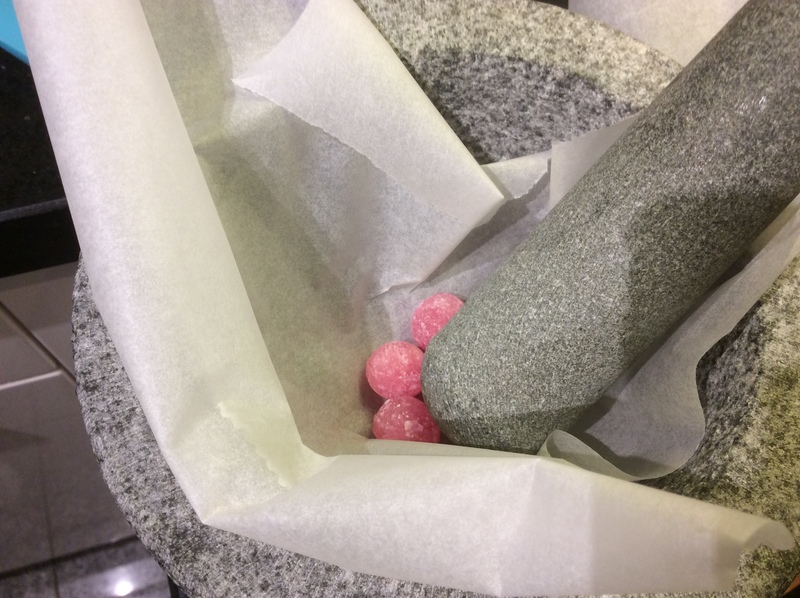 If you want to use sweets to fill the holes in the zombies, wrap the sweets in some grease proof paper and hit with a rolling pin until they have broken into pieces. 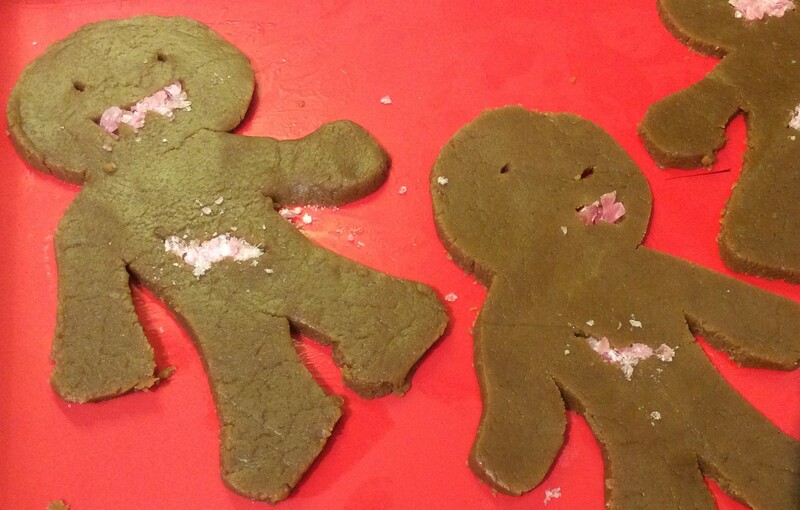 Fill the gaps in the zombies with the crushed sweets. Roll the fondant icing into small balls for the eyeballs, add some strawberry laces for the pupils. Fill the tummy with strawberry laces, they should stick to the melted sweets. 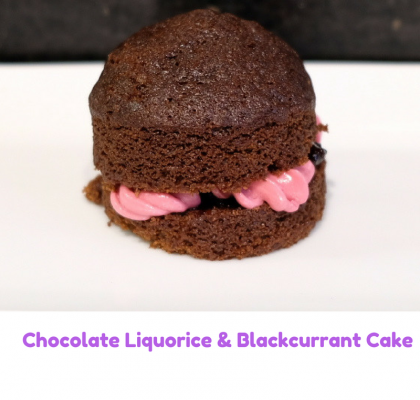 If you would like to use bandages add a few drops of black food colouring to the white fondant icing and roll out flat before cutting into bandages. 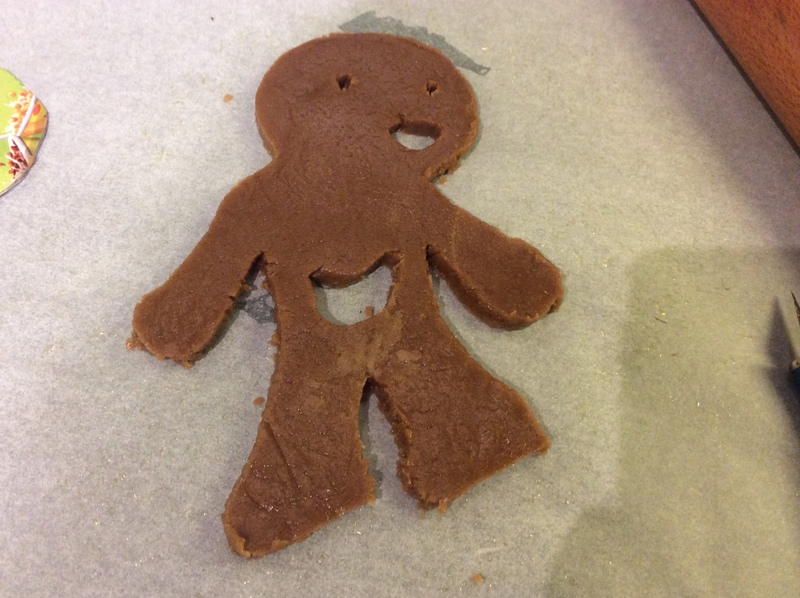 The gingerbread will keep for at least a week. Be warned once you start eating it is very hard to stop. 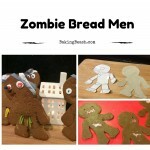 If you are after something to bake for Halloween why not try my Zombie Bread men. I love Gingerbread and its not quite time for the traditional houses. 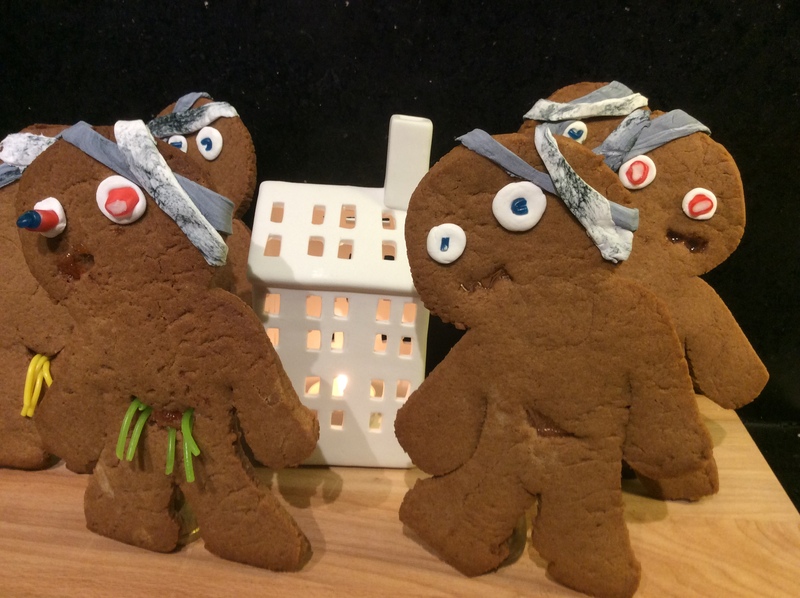 This recipe is based on a traditional gingerbread but given a Halloween twist by the shape of the men and by adding some strawberry laces to represent guts. 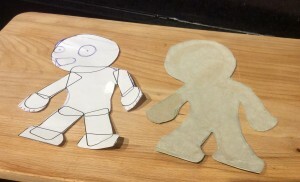 I made a template for my Zombie Bread men. As I’m not an excellent artist I did this in powerpoint by using different shapes until I ended up with a rough shape that worked. To make it easier to cut out I made it quite large. This means it will probably be too big to eat in one go but that adds to the Zombie effect. 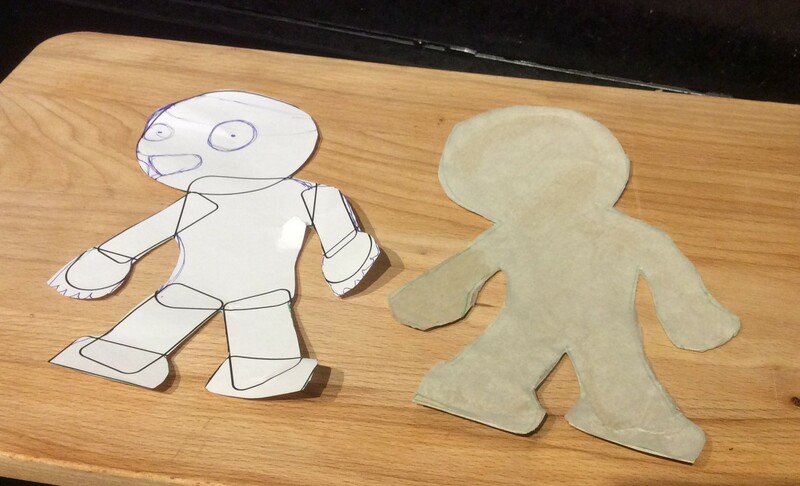 Transfer the template to a piece of cardboard. I covered the cardboard with some greaseproof paper, which I stuck on with a little glue, as this stops it from going to soggy from the gingerbread. See my rough template below. 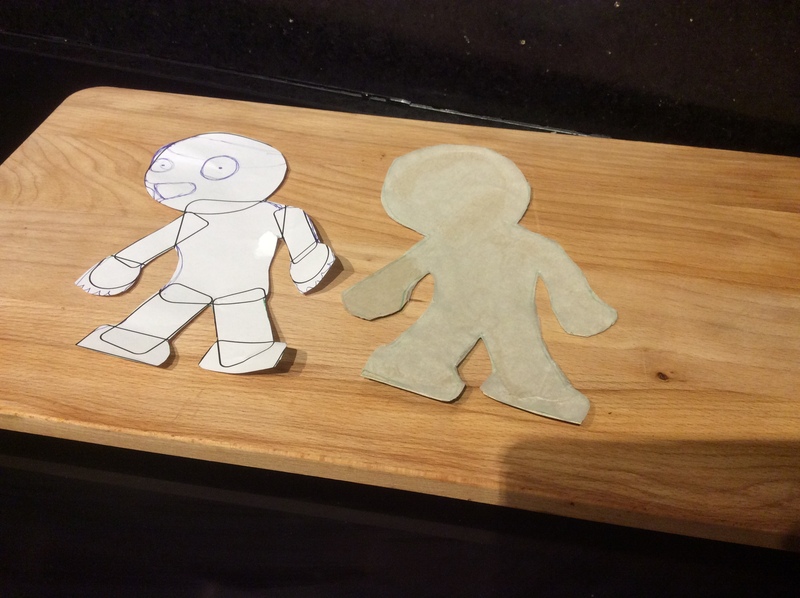 If you are going to make your own, ensure that the arms and legs are not too small as this will help the Zombie bread men to stand up. For decoration I cut a hole in the tummy and one for the mouth. These could either be left empty or if you want you can fill them with crushed boiled sweets. 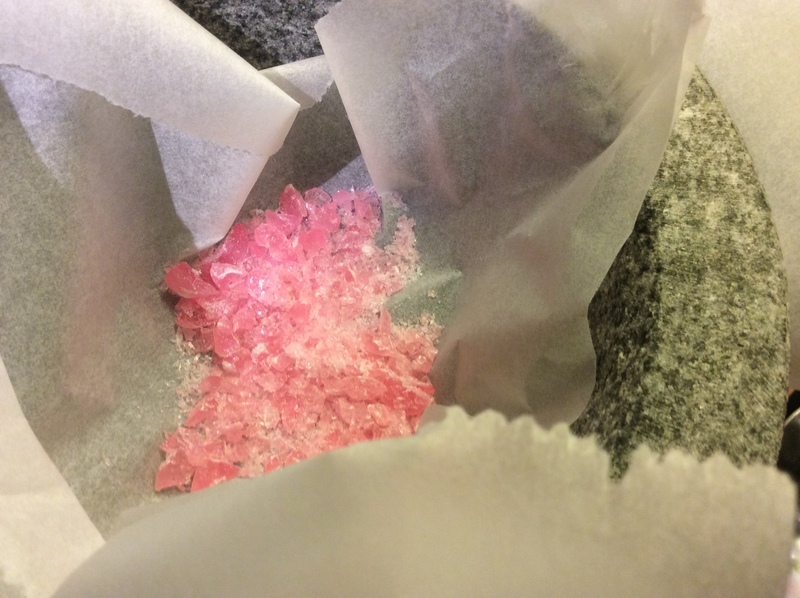 The sweets melt in the oven and give a coloured glass effect. 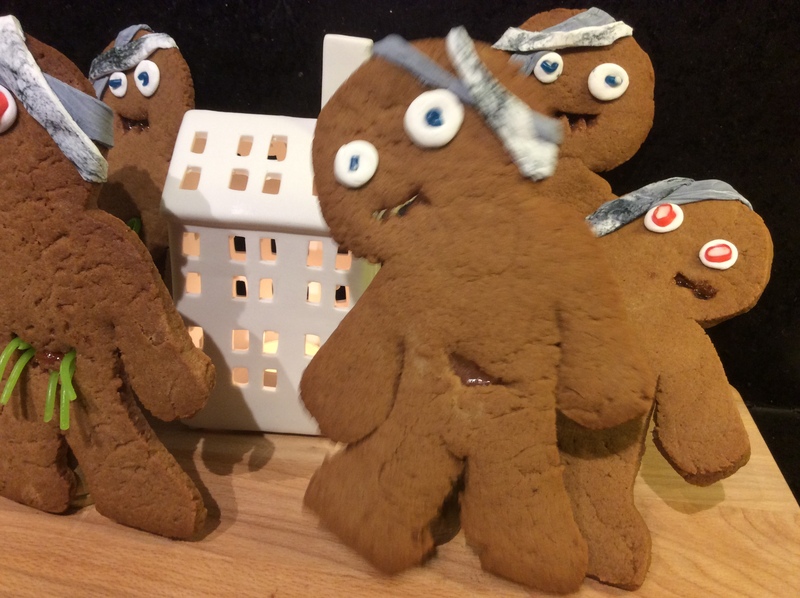 The eyes and bandages were made with white fondant icing. I dyed the white fondant grey with a little black food colouring to add to the effect. Finish with some strawberry laces for eyeballs and the guts. 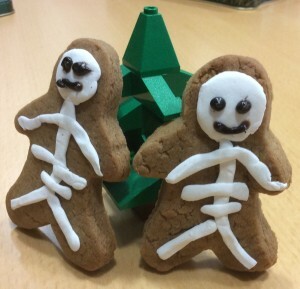 As a simpler and smaller alternative to Zombies you can make Gingerbread Skeletons. 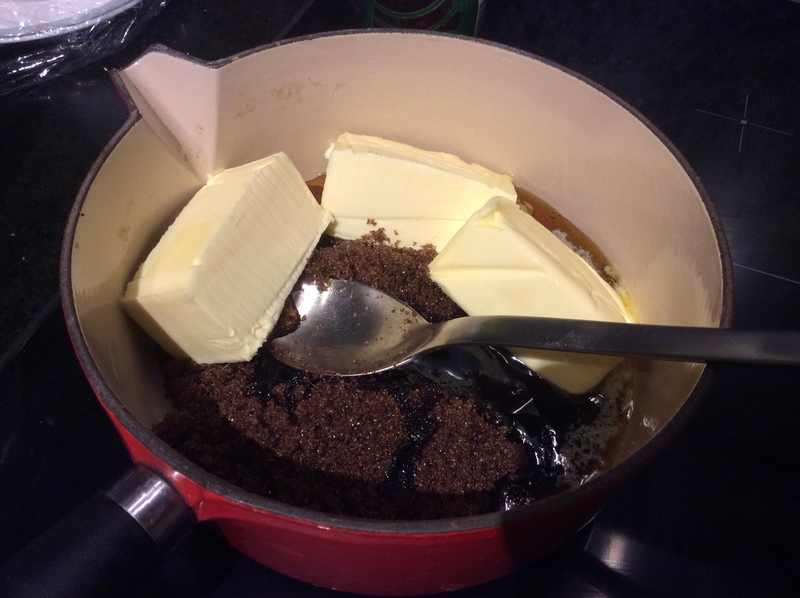 Use a shop bought cutter and cook and cool as per the Zombies. I had a Gingerbread man cutter and a teddy bear one. 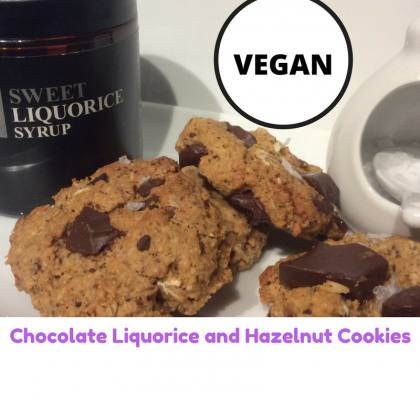 Once they are cool decorate with the Fondant icing and draw on a face with some a tube of chocolate icing or with watered down food colouring. For the teddy bear skulls. 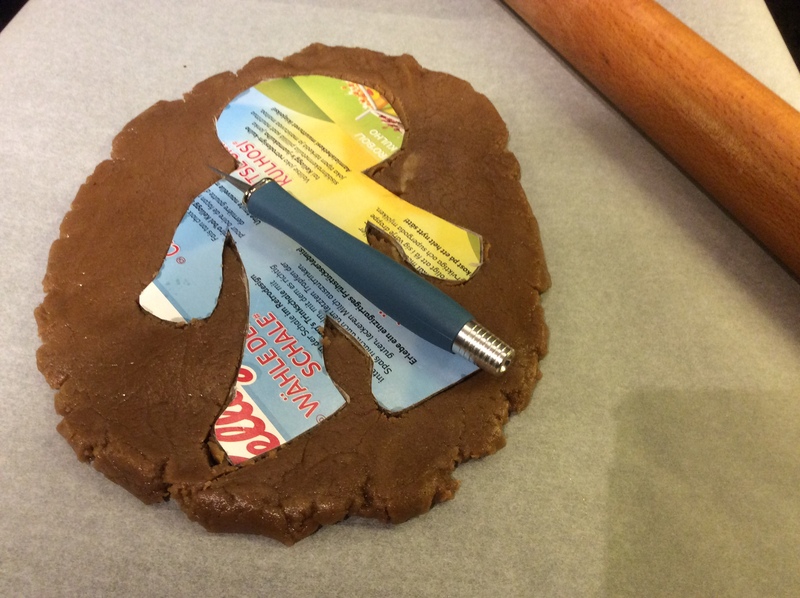 Roll out the fondant icing thinly and then use the original cutter to cut out the heads. 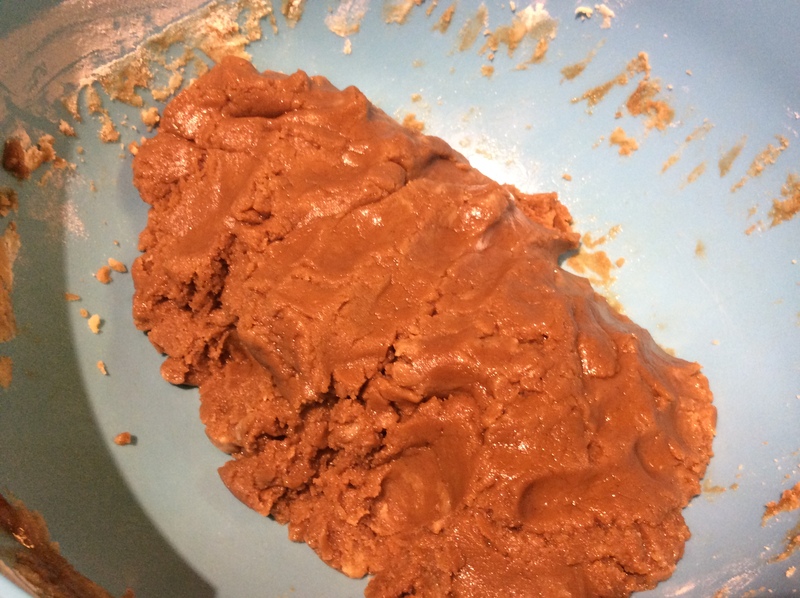 When adding the fondant to the icing leave the skull to last as this gives a better finish.